Not all property management companies in the Salt Lake area are equal. Over our many years of managing rental property we have seen many home owners have a less then positive experience with other property management providers. From shady, dishonest sales and management practices, to well meaning property management companies spread to thin, who don’t have the proper time, staff, tools or resources to do the job effectively. 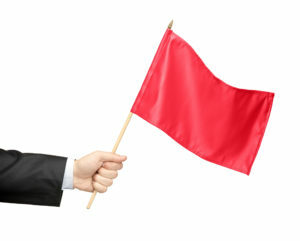 What ever the reason, here are some tips to help you recognize some of the industry red flags and avoid those companies to help ensure you have a positive property management experience. Make sure the property manager you select has been is business for at least 10+ years. This helps to add credibility to their company and helps show that they offer a level of service to their clients that has allowed them to stay in business. Rental property management is a tough business. Choosing a property manager who has an advanced, working knowledge of the industry, its laws, regulations, best practices, and pitfalls, can be vital to the success of your investment. Property management companies often come and go. Choosing a company with experience, will help you to protect your investment, reduce tenant liability, and be more profitable. Hide their real fees in the contract, then allow you to discover the real cost of the services they provide knowing that most people will just pay it and continue to use their service. These dishonest companies use other words such as expenses and costs in which they tie to necessary services, such as advertising of vacant properties, thus adding to the real cost management. Provide less then adequate service as a result of their inability to hire needed staff or provide needed tools and resources to their clients. What ever the reason, be aware of companies who do not openly disclose all of their fees or offer them at lower then industry standard rates. Both often result in costing you far more then the amount they say they are saving you. Managing your rental property requires a lot of trust. You deserve an honest up front property manager. Click Here to learn what questions to ask a property manager to find out what they really charge. Time – Rental property management requires an around the clock staff dedicated to caring for the around the clock needs of your property. Money – Because real estate sales is such a high ticket item, often more time, attention, resources and training are given to real-estate sales. Conflict of Interest – A property manager is focused on making your choice to rent your property successful and profitable. Some real estate professionals see an unsuccessful rental property as an opportunity to do what they are best at and sell the property and since they make more money through the sale they often develop an underlying conflict of interest. The responsiveness and follow through you receive from companies while investigating property managers, will often be a good indication of what kind of service you could expect once you become their client. Do they answer the phone? How quickly do they respond to you? Do they do what they say they will do, when they say they will do it? Do that show up to appointments on time? Companies who do not do these things while trying to win your business are very unlikely to do them ones you become a client. Real Property management Salt Lake would like the opportunity to show you why we are the industries rental Property management leader.